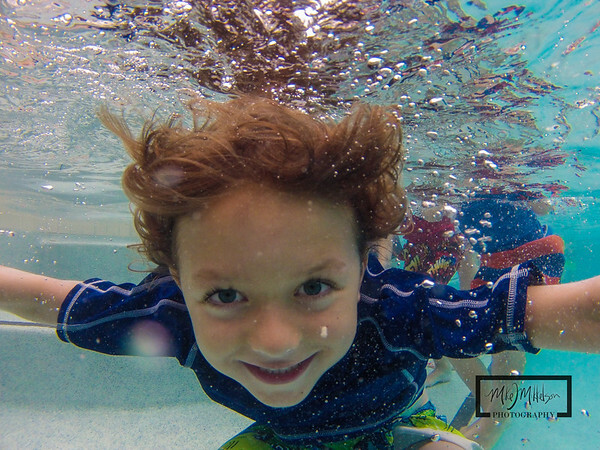 It took a few years for GoPro to release their updated underwater housing. The original underwater enclosure was waterproof, but produced soft and blurry images under water. I modified a case to use underwater, but was glad to see the "Official" case from GoPro. Just another accessory for the "GoBroke" camera, but worth the expense. 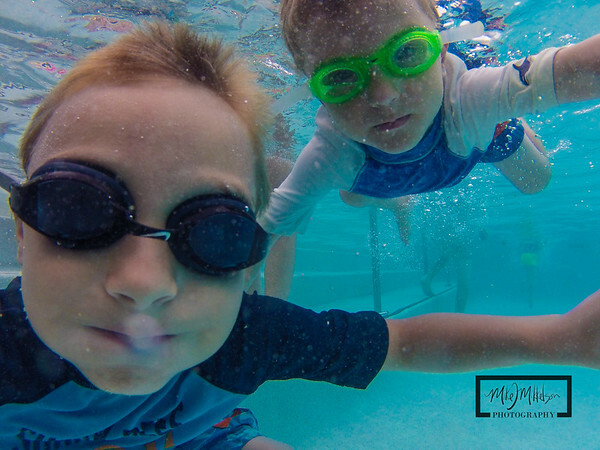 Here are some initial test shots from a pool with my nephews and their friends. 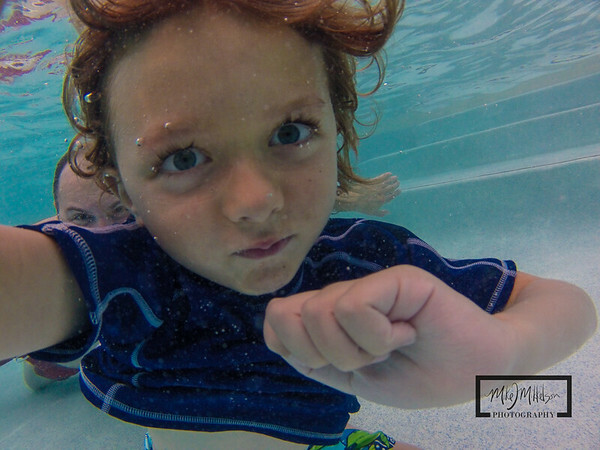 Mike's official underwater photo bomb. 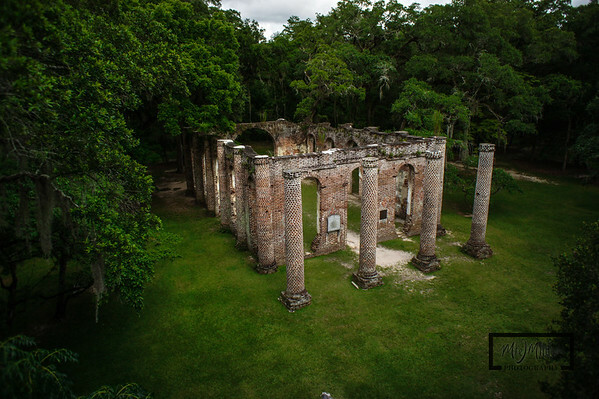 After getting some low level aerial images of the Old Sheldon Church Ruins, I busted out my Canon 5D Mark II with the Panosaurus and Promote Control. Panosaurus is a panoramic tripod head that allows for vertical mounting of a dSLR camera. I found this gem about a year ago, and was much less expensive than other panoramic mounts. Basically, this device allows you to mount your camera to center the nodal point so you get less distortion when capturing images that you'll stitch together into panoramic pictures. On top of that, I also used the Promote Control, which allows for extended HDR bracketing. The 5DMkII only lets you take 3 bracketed photos in a series, and adding the Promote Control lets met take up to 45 bracketed shots. I usually take between 12 and 30 bracketed images. Combining the bracketed images into a HDR picture, and then stitching each of these together to form a panoramic, gives exceptional results. 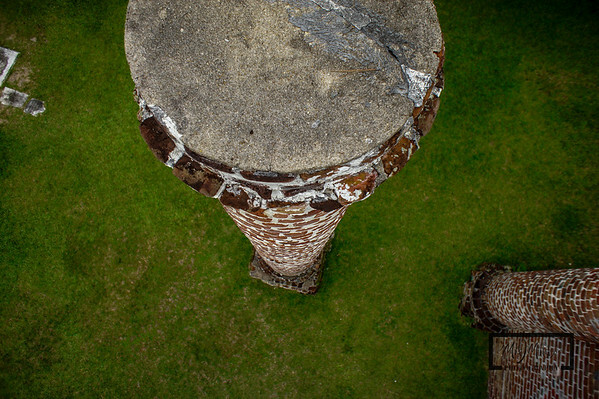 Standing at the front entrance, this gives an entirely different perspective of the pillars, which are actually in a straight row. The back entrance, tomb, and graves. 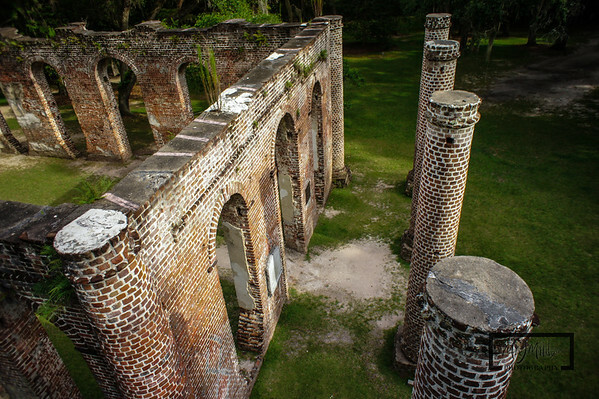 This is an almost 360 degree panoramic of the inside of the church, looking toward the back. Photomatix was used to create the HDR images, and AutoPan Giga was used to stitch the panoramics together. 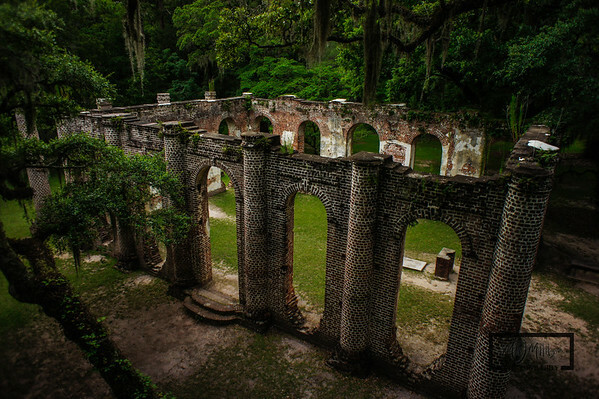 For additional panoramic images from the Old Sheldon Church Ruins, click here. 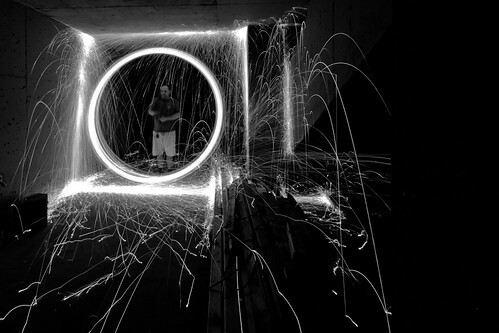 A Friend of mine purchased a new Canon camera and wanted to try his hand at Steel Wool Photography. I am never going to turn down the chance to light stuff on fire and spin it, so I also set my cameras up. 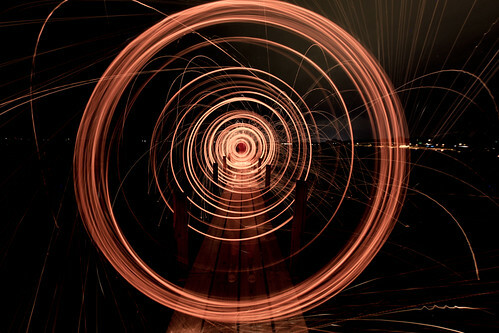 The cameras were set to between 20 and 30 second exposures. 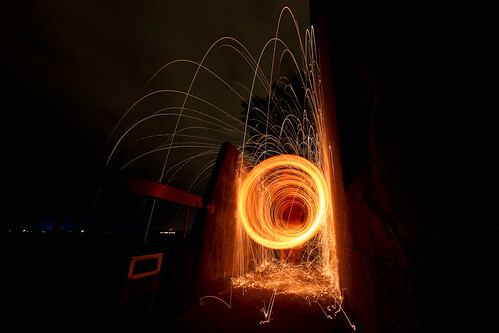 The vortex effect is captured when you walk towards the camera at the same time you are spinning the flaming wool. The m2 Photography website will be going through maintenance tonight to migrate from the http://photography.m2creativedesign.com to the http://www.m2-photo.com domain name. The m2 creative design domain was allocated about 6 years ago when I was doing more photoshop and design work. Since I'm focusing entirely on photography, I am finally making the migration to the newer domain name. Although I have had m2-photo.com forwarding to the main site for a couple of years, I finally make the hard switch. You may see some of the blog post images fail to load until I have a chance to go through all my posts. Thank you for your patience. Mike. The Trek100 is a charity ride to help raise money for the MACC Fund, which is dedicated to funding childhood cancer and related blood disorder research. My wife and I, but mostly my wife, raised over $1,600 for this years' event and chose to ride the 36 mile course. It was a hot and windy Saturday, and perfect for some GoPro HD Hero camera work. My bike had a number of different GoPro Mounts attached, and I tried to capture as many angles as I could think of. 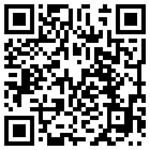 I used Animoto to create the video slideshow which includes images, time lapse, and video sequences. I received the WiFi BacPac and Remote the day before the event, and it is now my favorite accessory. Being able to turn the camera on and off, switch modes, and remotely press the shutter was amazing on this ride. I mounted the remote on the cross bar near the handle bars, and I was able to easily see the LCD screen to switch modes. Each time I remounted the camera in a new position, I would grab images, video, and burst sequences. Being able to ride with a telescoping monopod is tricky, but the low-level aerial images, along with the "near-pavement" shots are worth it. The easiest method for capturing footage was using the seat-post mount, which gets a rear perspective. Adobe after effects was used to create 3 to 10 second clips for upload to Animoto. 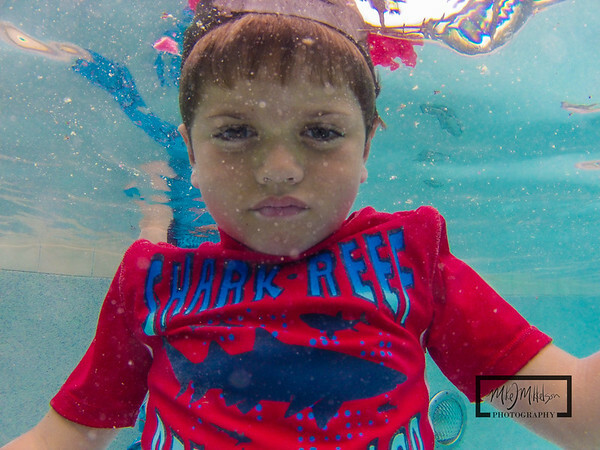 Since the GoPro captures 720p video at 60 frames per second, it allows you to slow the speed down for slow motion sequences. After Effects can change also speed the video up for additional effect. 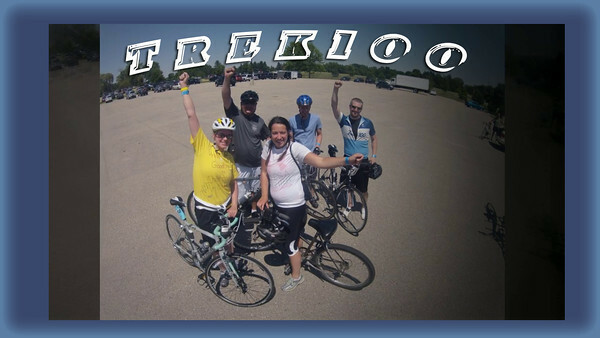 Click on the image below to watch the 2012 Trek 100 Video from m2 Photography. If you'd like to help cure childhood cancer by donating to the MACC Fund, click here.